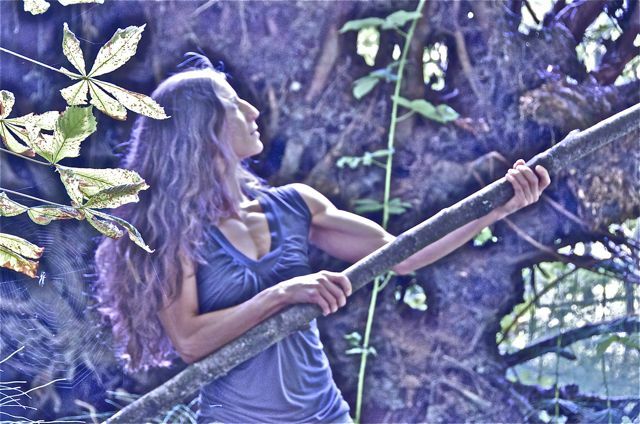 On Monday, September 10, 2012, my friend Lisa and I spent about an hour and a half taking photographs in the forest. It had been already one year since Lisa took photos of me for this site, so we figured it was time to do another set. Also considering that I wanted to show you that I am practicing what I preach. In fact, through the course of this year I have been experimenting with doing shorter workouts at one time but fill my day with Active Living (as much as I can, of course each day varies and each week brings its own surprise changes to schedules). But what I have discovered is that if I focus my energy on being precise and accurate with each movement I can’t train for as long – it’s just too exhausting. As a result, my body gets conditioned more effectively in a shorter period of time. 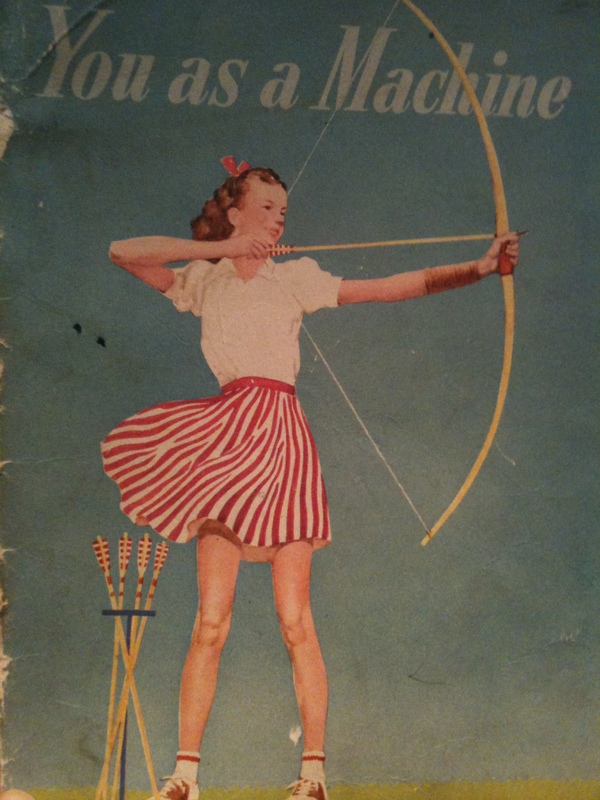 What I had in mind for the photo shoot was to do a bow and arrow pose as a tribute to the 1940’s You As A Machine booklet from which this site was inspired. And the beauty with photography is that you never know what you’ll get. This is what we came up with. Lisa has great talent and an incredible eye, as you will see. She gave me creative licence to play around with the light and contrast levels in the “editing room”. It was an incredibly fun, collaborative and creative process. If you click on each photo you will see an enlarged version. The one below is my favourite, I just love the light and the silver tones. This photo is another one of my favourites because at the time of shooting, we didn’t see the large spider or web that it was in the centre of (lower left corner). Only once I started playing around with the contrast levels did it pop out at me and my son (who was helping me edit this photo). We both jumped back.